Traditionally an Autumn favorite, wild mushroom risotto can be enjoyed year-round. It’s an excellent meal on its own or can accompany a variety of entrees. 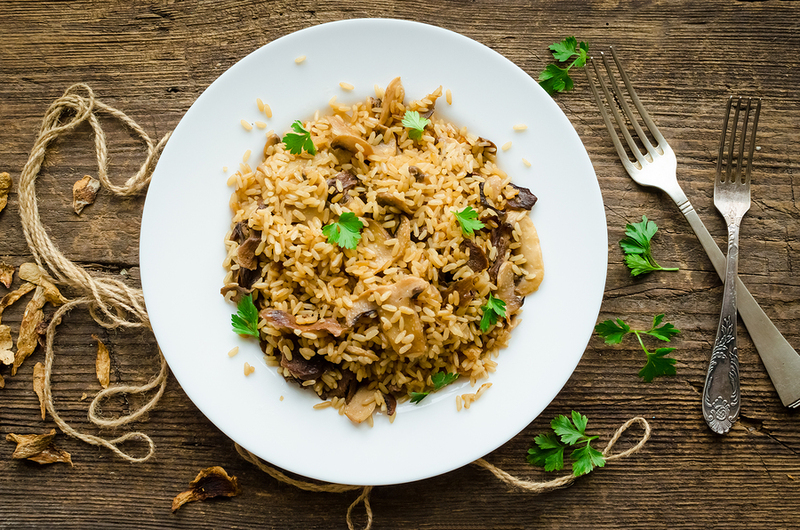 Where possible, use organic mushrooms and rice for added health benefit. Be careful not to overseason with butter or salt, as the white wine, stock, and garlic will draw out the rich flavor of the mushrooms. This entry was posted in Recipes and tagged food, healthy lifestyle, mushroom, nutrition, recipe, risotto, vegetarian recipe.